###Voat, and the Q community specifically, has been infiltrated! Please read my evidence. Voat, and the Q community specifically, has been infiltrated! Please read my evidence. A few anons have been helping me research this group that is infiltrating Voat. I have a lot of evidence to prove this. The evidence speaks for itself. After you read everything, then YOU can decide. There is A LOT of information to cover. Putting everything together is like looking at a tree. To get the whole picture, there are pieces of the story that branch off. Everything I am about to share with you, centers around a user named BuilderAnon. Read all about BuilderAnon here. He deleted his account, among other sock puppet accounts, when I called him out. Just on Voat alone, these are for sure, all the same person. Here, he says that he is u/aQmapPubCurator. Here, he tells me that he is ElectroLumus, NucleoLumus, and Heru. Like I said, he deleted most of these. But not before we had their comment histories archived... The last 3 accounts were over 3 years old. BuilderAnon is the person that connects all the others. 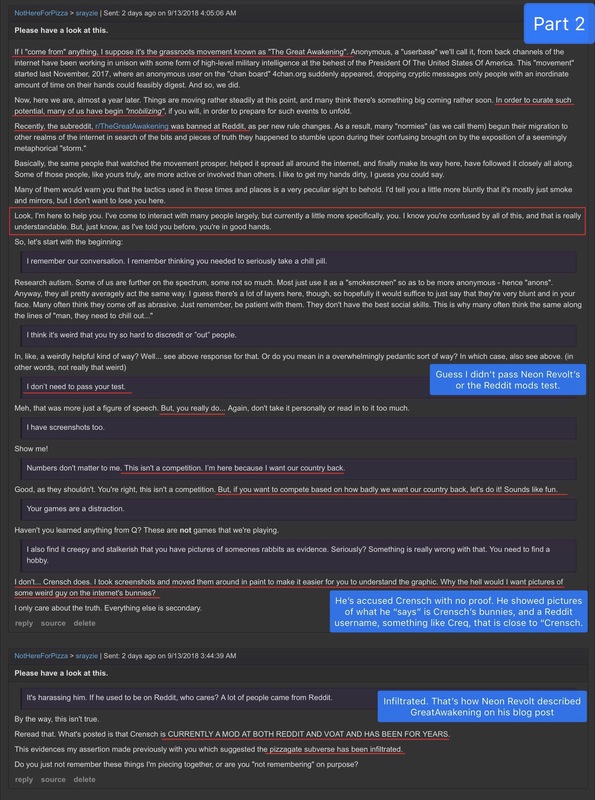 I will start with NotHereForPizza, since he is the one that contacted me the day after r/GreatAwakening was banned, and one day prior to BuilderAnon. He is part of a group that has infiltrated Voat’s Q community. 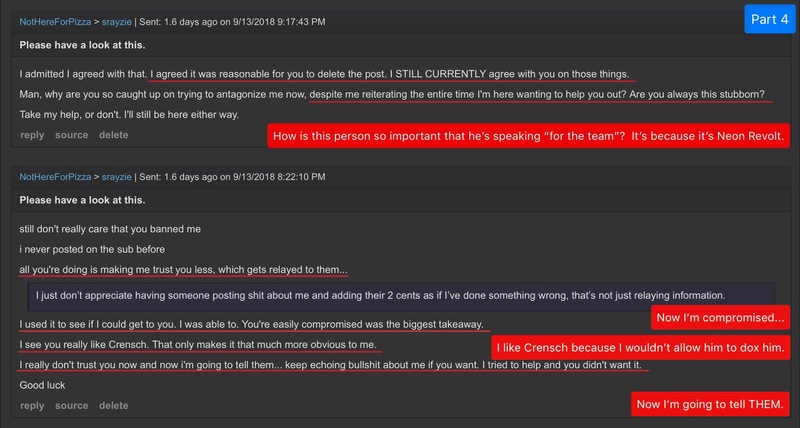 So on Sept 13th, when the Reddit Refugees were flooding in, NotHereForPizza once again tried to dox Crensch. The Post was removed and he was banned. That’s when I started getting private messages from him. While we were chatting thru private messages, NotHereForPizza’s personality completely changed, and he starts trying to intimidate me. He told me that “they” wanted to help me. I soon found that he was talking about people from Reddit’s Great Awakening Sub. At the time, I didn’t know what group he was talking about. 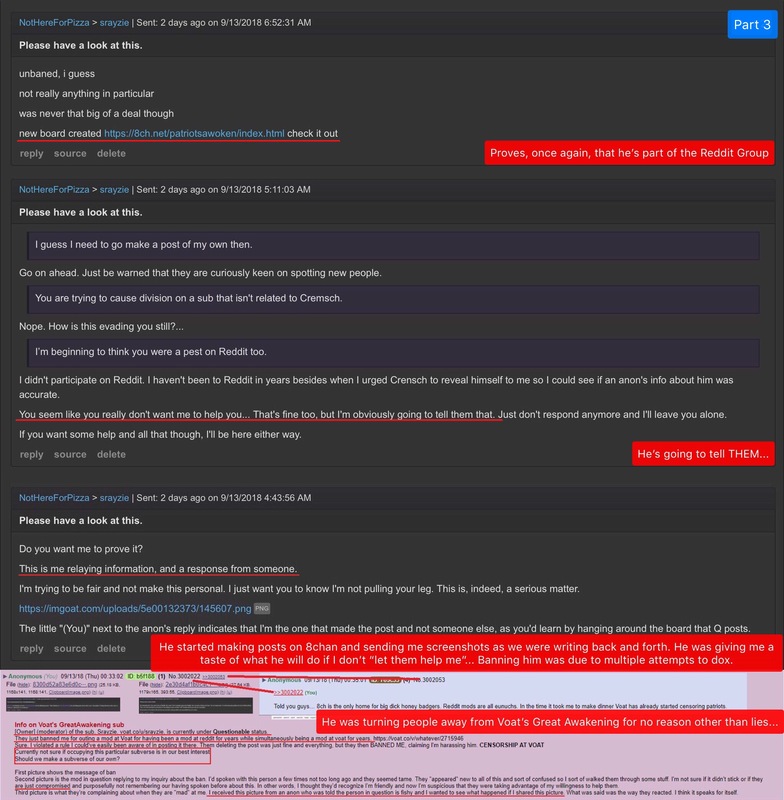 By how he was acting, I felt like I was talking to someone that was a paid shill group or a government agency, because people came out of the wood work and were sending me private messages when The Reddit sub got banned. I refused NotHereForPizza’s help. I didn’t even know “them”. I wasn’t going to let someone possibly infiltrate VOAT’s GreatAwakening. 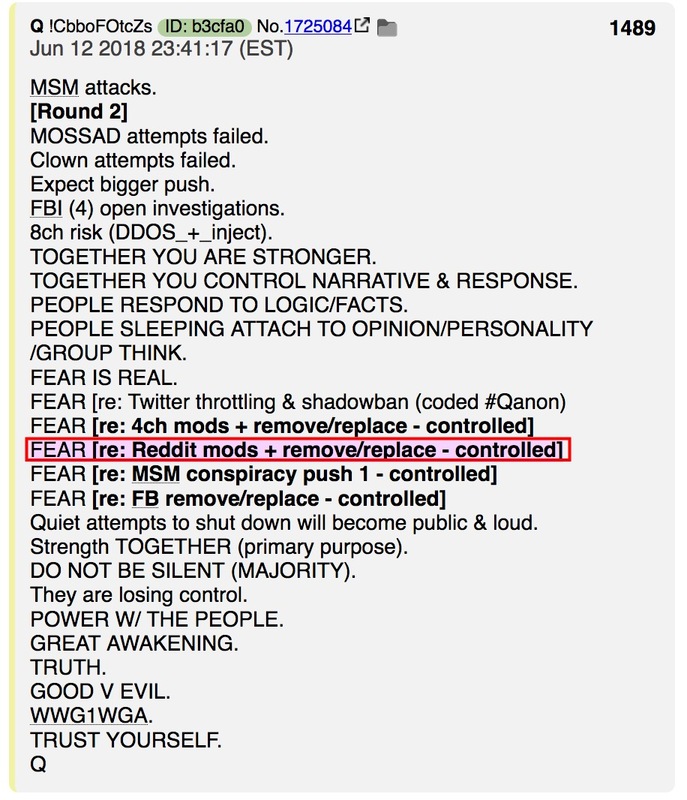 Especially since so many people had been saying for over a month that the Reddit mods were corrupt, and Q made a post about it. 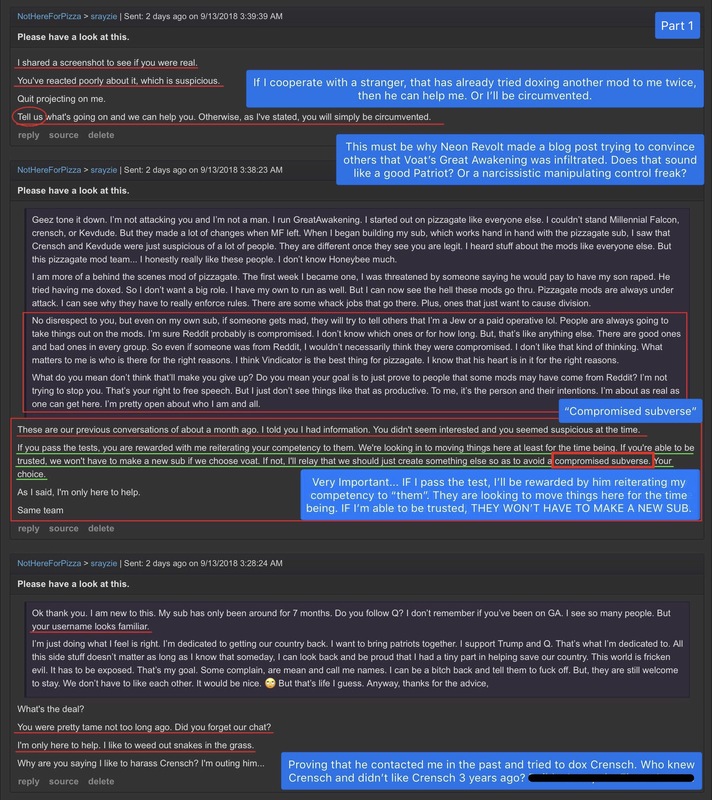 Neon Revolt confirmed that the same Reddit GreatAwakening mods, and 8chan mods teamed up to create Voat’s TheAwakening sub. This is not considered doxing on Voat. Doxing is when you expose things about someone real life. Read each screenshot from bottom to top like you would your own inbox. Is NotHereForPizza an alt of BuilderAnon? Myself, and the anons that’s have been doing research with me, have suspected that NotHereForPizza was Neon Revolt or BuilderAnon for a while now. We also think there is a possibility that all 3 are the same person. You will see more evidence later. So, I found it interesting when I seen a comment claiming that NotHereForPizza was Neon Revolt’s main alt. It makes so much sense when you put all our evidence together! NotHereForPizza doesn’t seem to be a very good Patriot! Here is a graphic showing NotHereForPizza has a big list of site wide banned sock puppet accounts on Voat. Vote manipulation. Here, he is admitting that 75 of his alt accounts have been banned. He is very much into shilling and using consensus cracking. 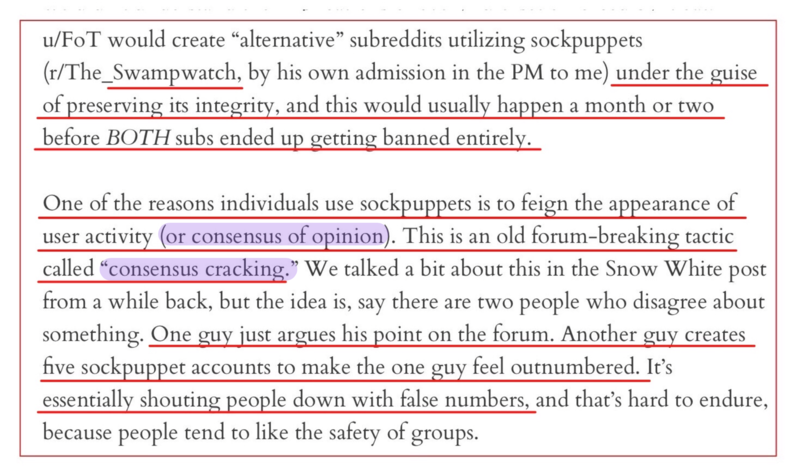 Neon Revolt describes what Consensus Cracking is in his blog post, where he describes a sock puppet account that infiltrated Reddit subs. 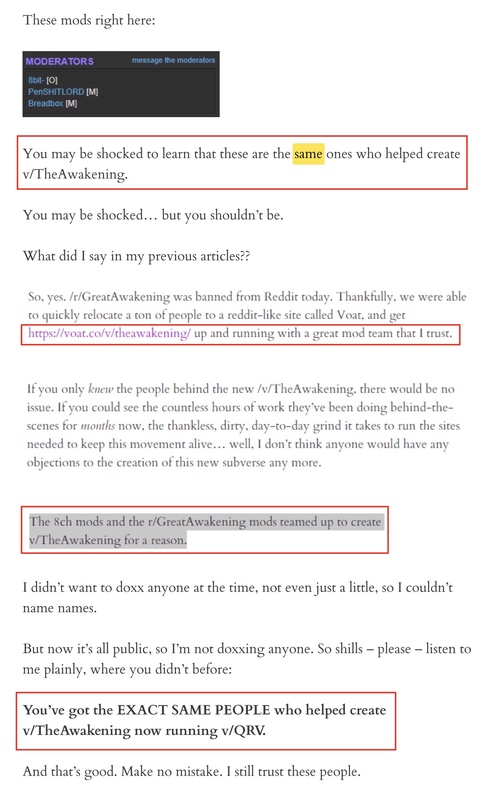 That is the same blog post where Neon Revolt misleads his readers to believe that Voat’s GreatAwakening was infiltrated because we had 2 subscribers with similar names to (FOT), the Redditor Neon Revolt accused of being involved in Consensus cracking. That was their excuse to not join the already established Q sub on Voat, but to create their own subverse and maintain all control of their base. NotHereForPizza loves to come off as intimidating. Here, I tell NotHereForPizza that I know of his alts. They can see how desperate you are, how hard you'll [you're] trying. They'll love watching you fail, in the end. You have no idea who you're dealing with. Our reach is endless. Who is he talking about? His big group of Redditors that infiltrated Voat? Does that sound like someone that is about unity? Or division? Here is my response. Hello there, Goats and Newfriends! Are you wondering why v/thegreatawakening and v/greatawakening are having a fit? What fit? His post was simply showing that v/TheAwakening, at that time, had “more visitors here now” than GreatAwakening did. That is no longer the case. Just sayin. The following shows that NotHereForPizza has been trying to manipulate users about not only me, but others. Here, NotHereForPizza is making comments to the owner of Voat @PuttItOut. He’s trying to talk business, acts like he’s speaking for the team, and totally talks down to Putt, showing what a narcissist he is. I guess by bringing up how much the TheAwakening sub could bring in, he thought that it would earn them favor. I don’t get the feeling that Putt works that way. He seems to be a really fair type person that cares a lot about Free speech and isn’t swayed by assholes like this. You will see how the following sounds just like BuilderAnon, aka ElectroLumus. 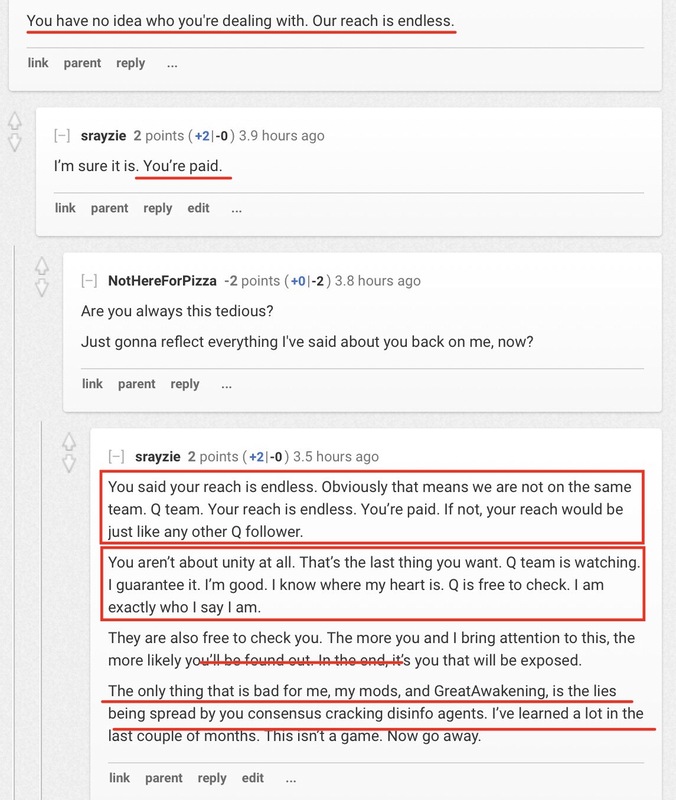 Here, NotHereForPizza is talking about Tactics and how Voat owner PuttItOut looks guilty. Maybe you're missing this tactic. Putt not responding only makes him stand out. Everything I do is for the audience - engaging them, accusing them, flailing like they do, all of it. Nothing I have ever presented was very substantial in terms of evidence. I've simply given them rope, day after day. They just jump right in the noose each time. What this has done is ensured anon sees this, signaling to them that they aren't to be trusted (while also making them suspicious of my account - a martyrdom tactic, if you will). They're too stupid to see it though, as evidenced by literally every iteration of the method. Here, NotHereForPizza makes a post about Pizzagate Mods. Crensch, the one he has tried to dox so many times, is an Owner/Moderator of Pizzagate. 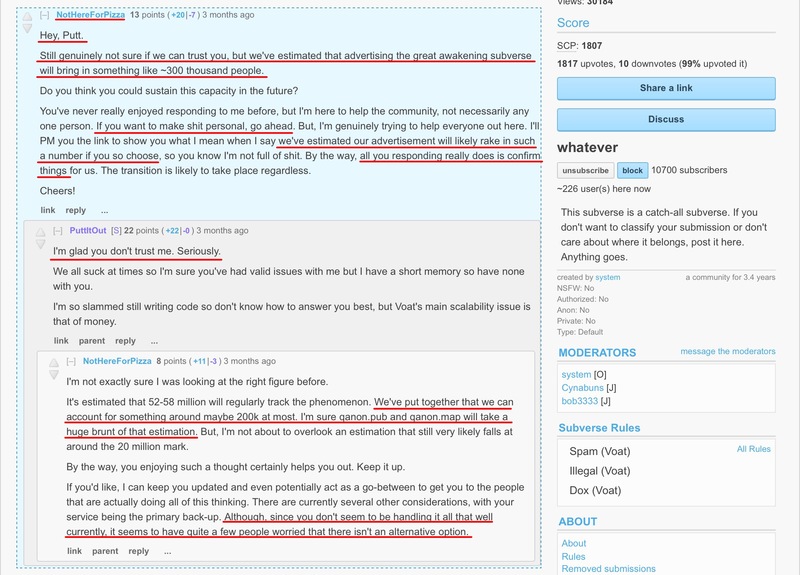 Here, you can see where NotHereForPizza was manipulating users by talking crap about pizzagate mods over a year ago. You will see later why this person hates Crensch so much. This is who was taking such an active role with the Reddit Transition to Voat? ?